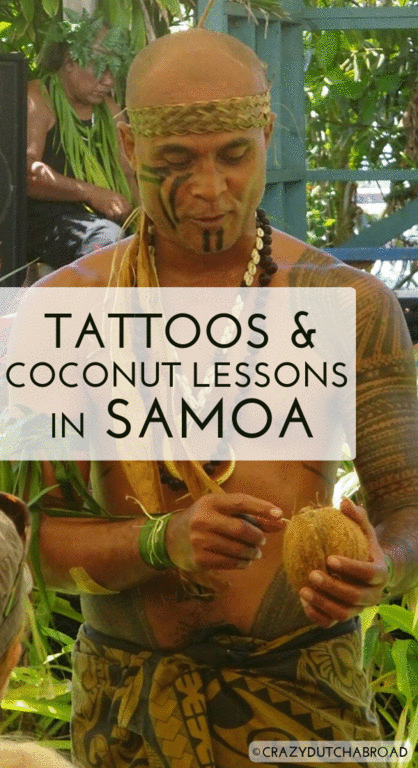 Tattoos and coconut lessons in Samoa! 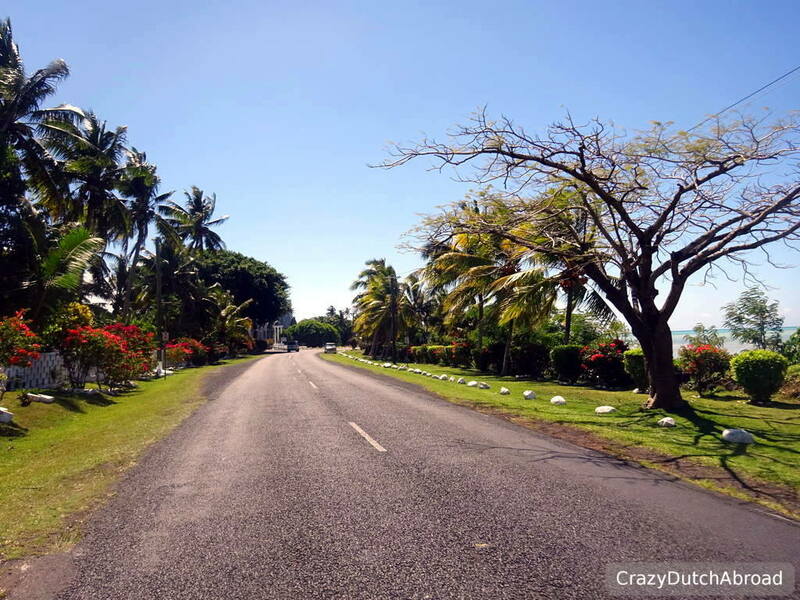 Trip to Apia, Upolu island in Samoa! With a hot and tropical climate, stunning beaches and a colorful rich culture Samoa is a piece of paradise in the South Pacific! 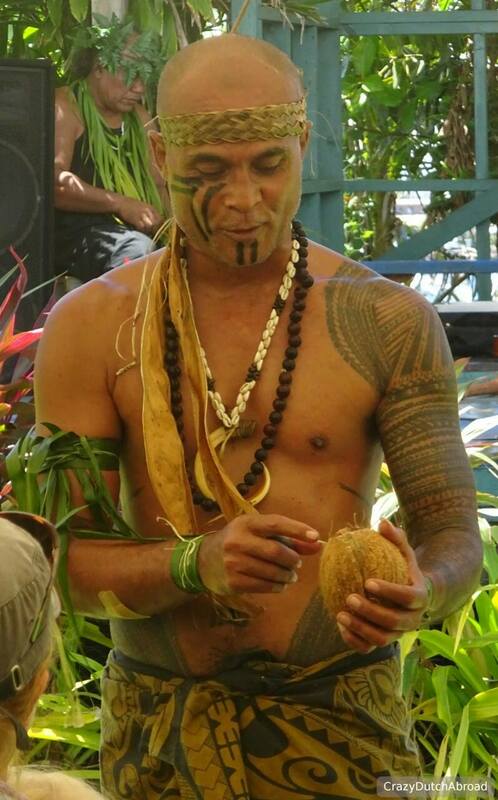 The Samoans love their culture and would love to share their knowledge about all the uses of the palm tree as their Tree of Life! Smiles everywhere and you simply can not pass-by another person in the street without waving, especially in the small villages. They care, they love it that you are visiting and they are so proud of their country! Streets are clean, gardens are kept tight and you will not find anything other than biodegradable bags in the supermarkets! 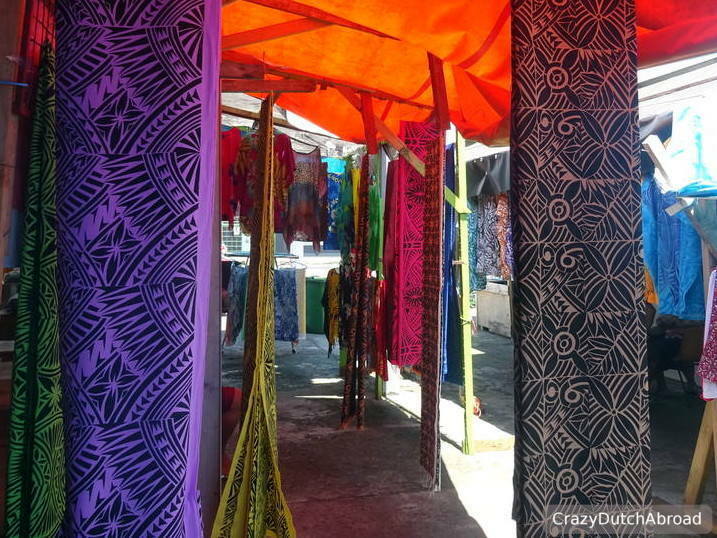 Many locals (men and women) wear a lavalava, a sarong with Samoan tribals printed on it. If you look up the history of tattoos, you will end up in Samao. Tattoos (tatua in Samoan) originated here and they have a deep meaning. It is a way of expressing their strong connection with their culture. You will find many people wearing 'sleeves' and 'shorts' of black ink. Especially the 'shorts' are different from what you see in other places in the world. Woman have a Malu print, something that looks like dot tights that goes down to the knees. Men have more lines and a lot more ink - it takes several days of painful tapping ink in the skin with a sharp item, a tooth or turtle shell in the old days. Once the process has started there is no turning back because an unfinished tattoo brings shame upon the whole family for decades. 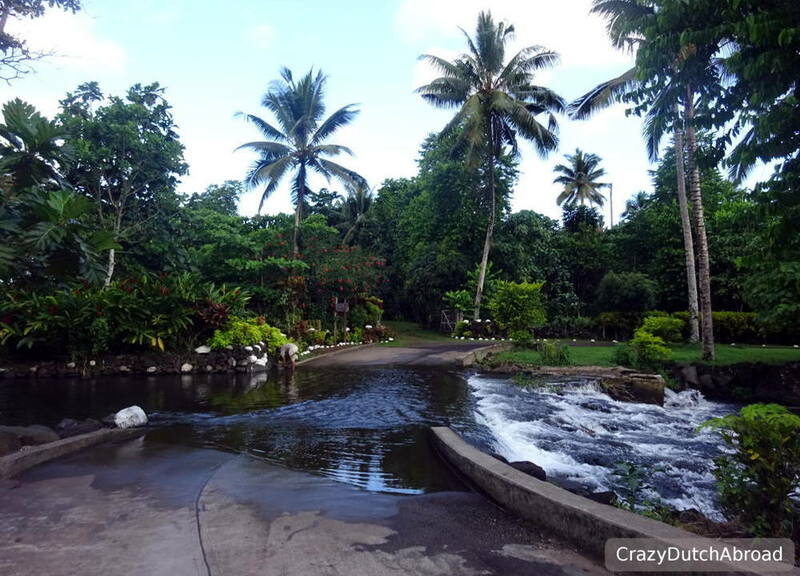 Things to love about Upolu Samoa! Whether you are Christian or not, the amount of churches is impressive. 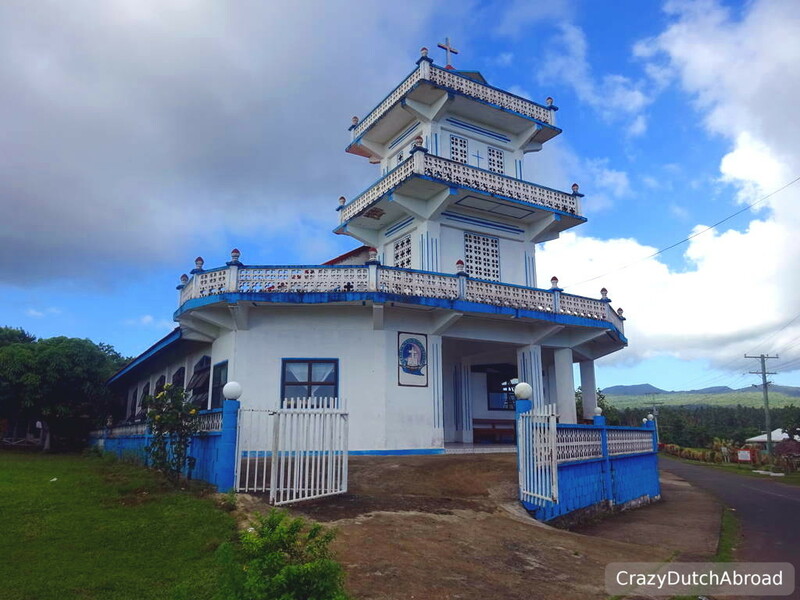 It looks like there is a church for every family around the island. We completely lost track counting. 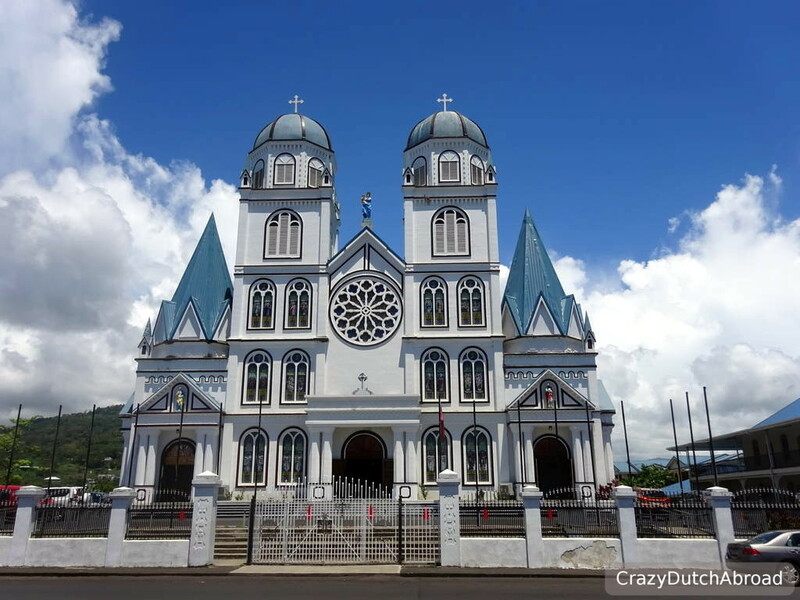 The Immaculate Conception of Mary Cathedral in Apia, opposite the Tourist Information Center, is definitely worth a visit. All churches are beautifully decorated, often fresh and bright painted and they color the skyline from a distance. Some are open daily for praying and visitors, other than the Sunday services for which you will get many invitations, including family lunch afterwards. 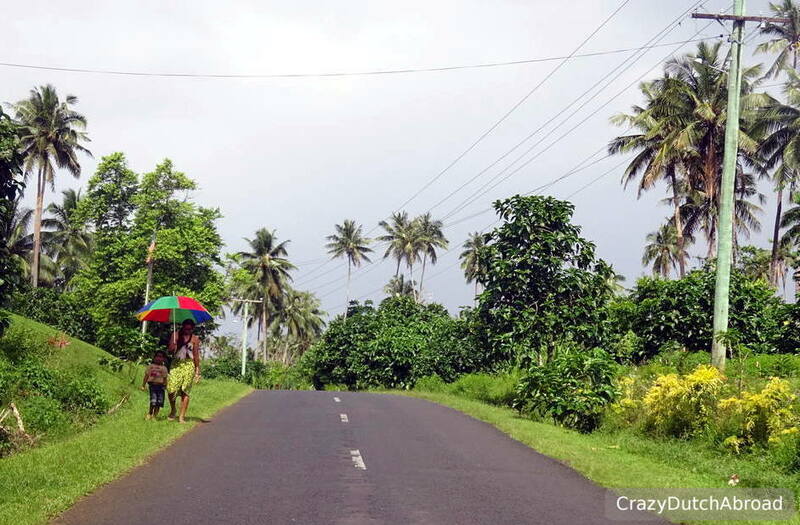 Sundays are different in Samoa, streets are empty, shops and restaurants are closed and public transportation is hard to find. People like to sit indoors. 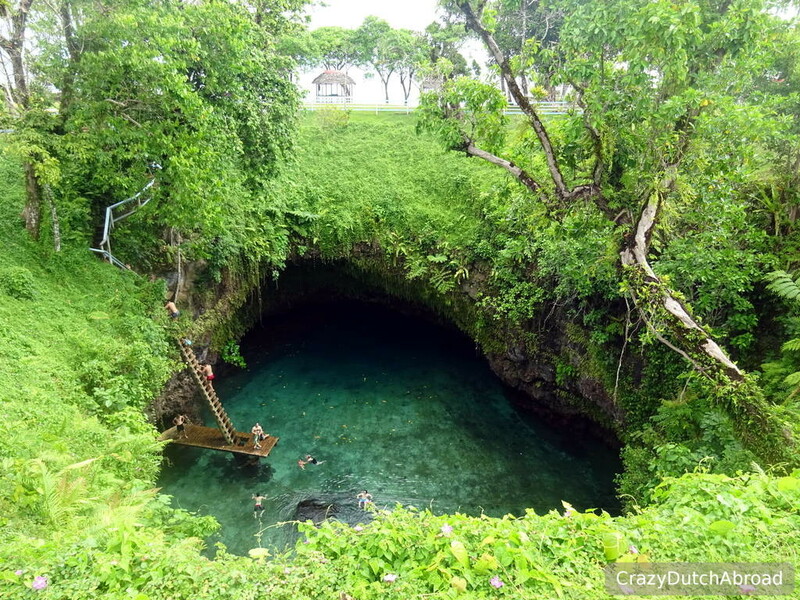 On the South-East coast of Upolu island lays the natural highlight of Samoa: The To Sua Ocean Trench! It is a blue lagoon in a 30 meters deep cave shaft next to the ocean. There are stone steps down the first part of the cave, the last part is a challenging ladder - hold on tight! As soon as you hit the platform at the end of the ladder you can enjoy a jump in the refreshing clear blue water. Very beautiful! You pay an entrance fee of 10 USD to enter the garden with pick-nick areas, beaches and swim in the trench. 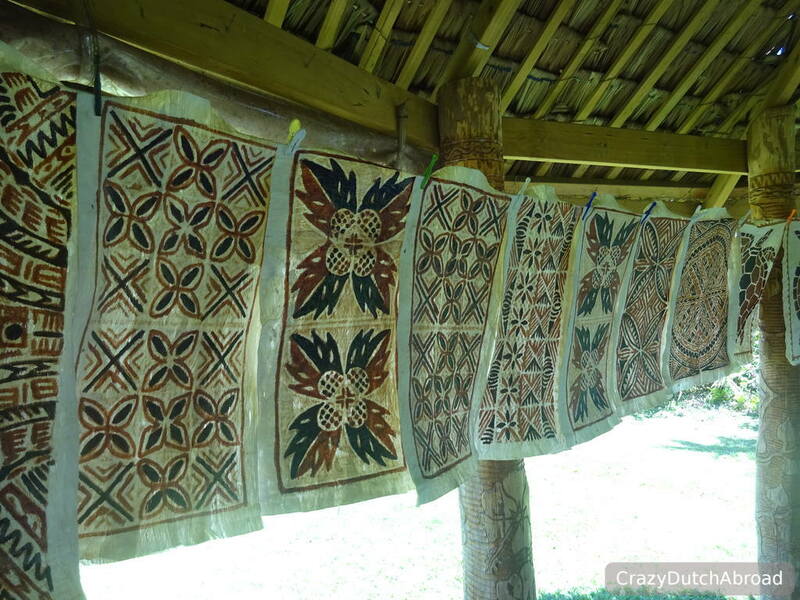 The Samoa Cultural Village is a MUST DO to learn about the history of this country and the strong believes. There are interactive sessions on Tuesday, Wednesday and Thursday morning and they are great! Slowly everything will be explained and shown with so much enthusiasm you will be eager to listen for hours. 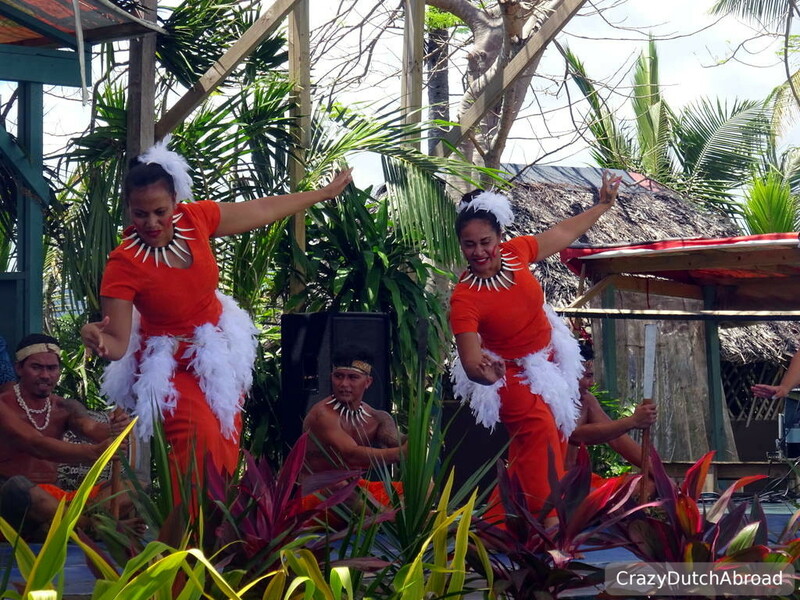 There is a traditional dance show, with big knifes (more like swords) as well, traditional tattooing (live), coconut lessons and a lot more! They will even treat you with a delicious local lunch! It is free and you can walk in and out as you wish, it is open-air anyway. You can rent scooters from MotoSamoa on various places on Upolu, check and make a reservation online. The helmets are more about avoiding fines, do not expect any protection. 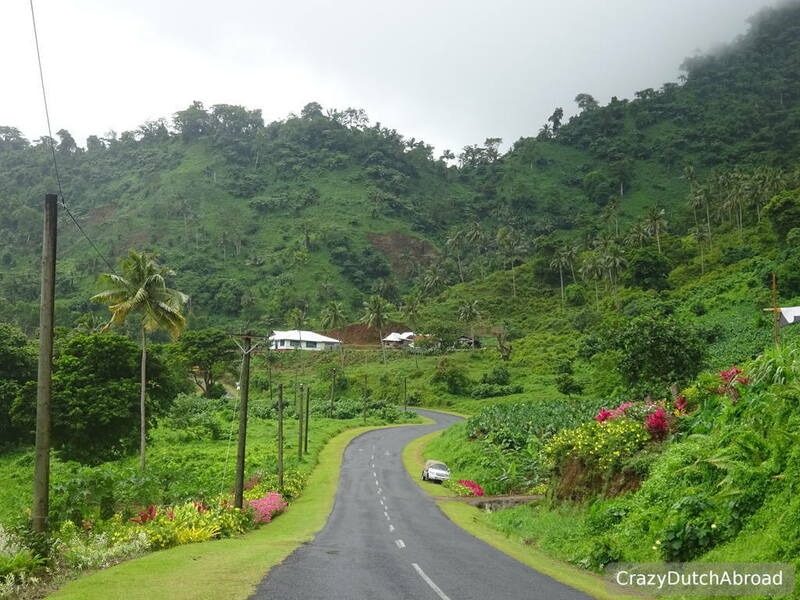 It is just lovely to drive the East coast and more inland over hills and curly roads. 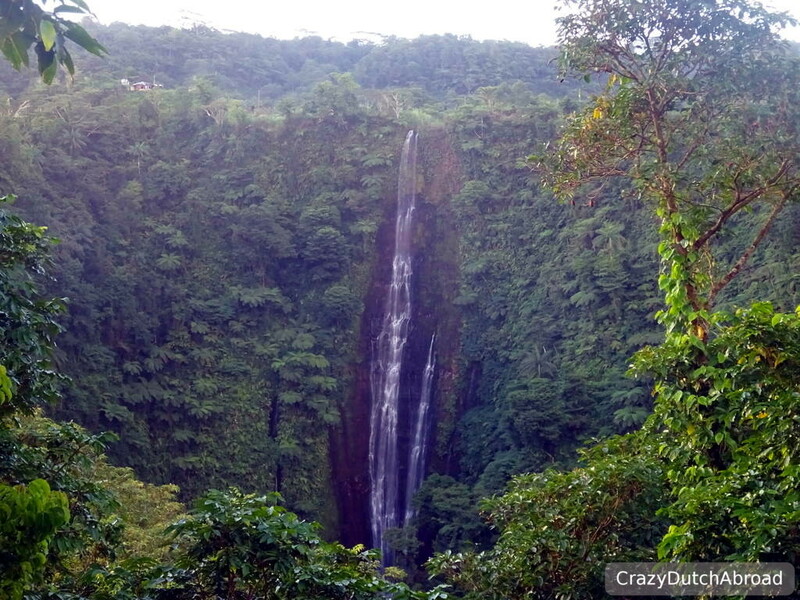 There is a great viewpoint of the Papapapaitai waterfall if you drive through the center of the island. 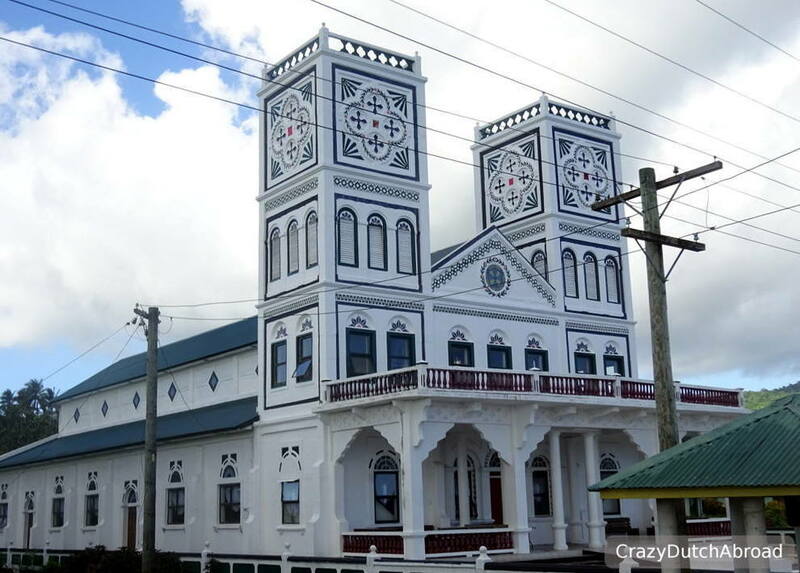 Stay at least one night in a fale ones you are in Samoa! The open air (more like a shelter) places create a cool area since the wind can blow right through. 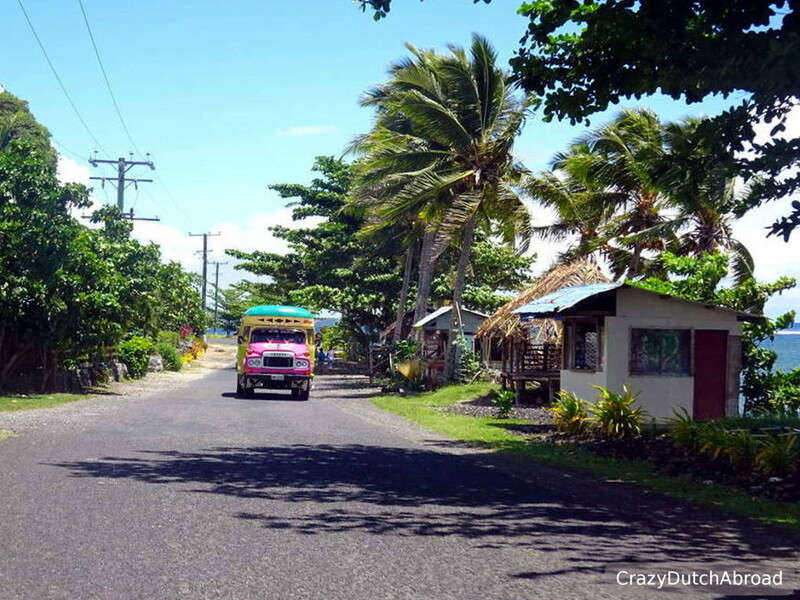 Many people live in fales in Samoa, it is quite strange to see the open-air houses with furniture, beds and all collected houseware. No walls, doors, no locks, no problem. 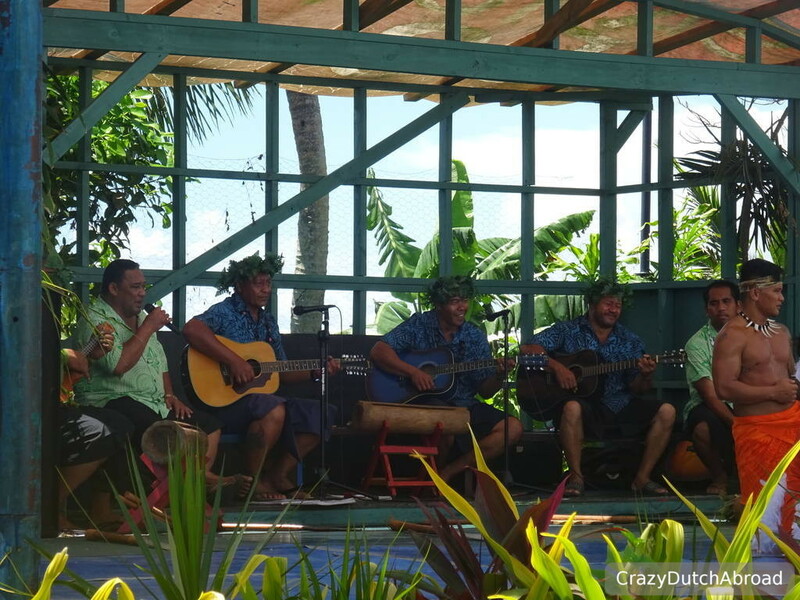 Book a fale through the website of Samoa.travel. 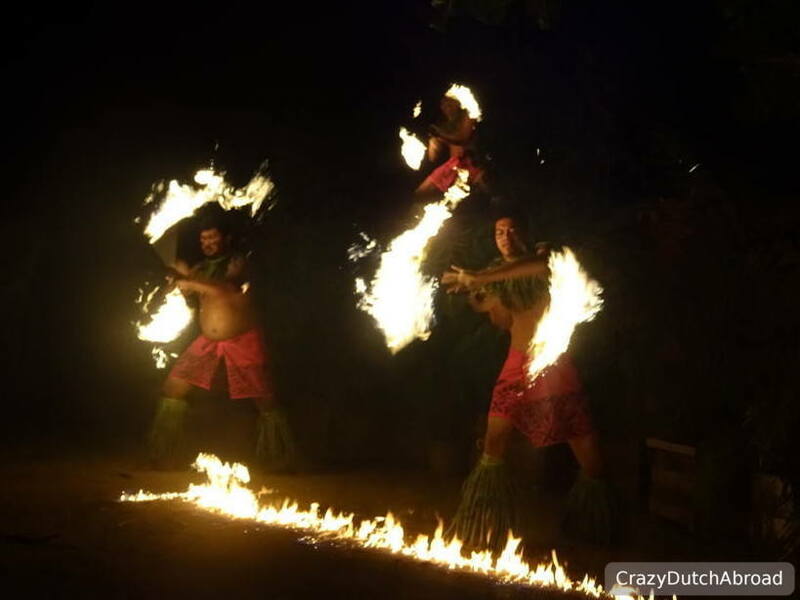 If you are in Apia on a Tuesday night - go to the Siva Afi show to see world class fire dancing! 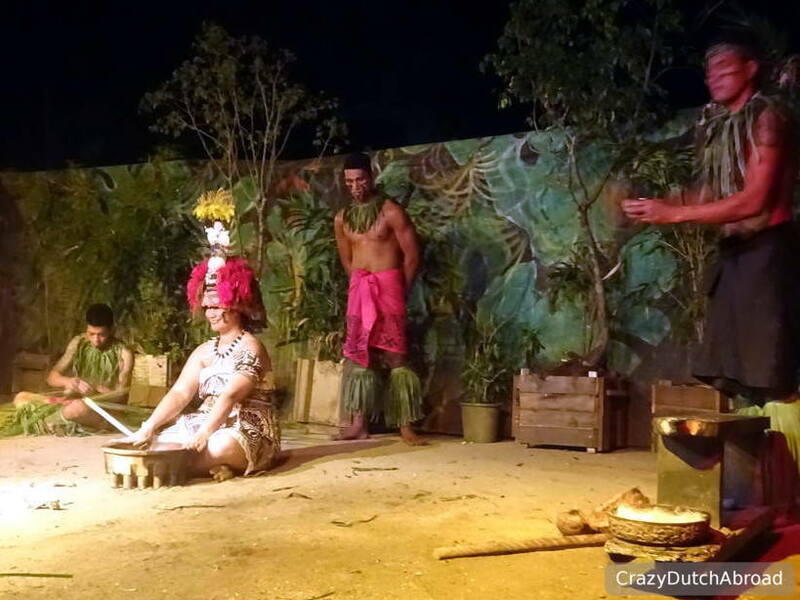 From fire and knife dancing to coconut milk making and other traditions, all explained in a quick and entertaining manner. Go early to get a good spot and combine it with a local dinner. 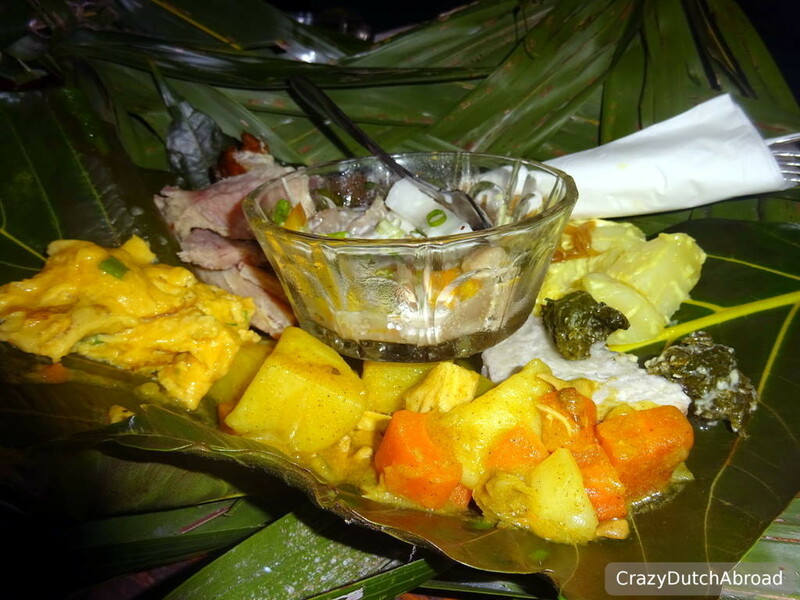 The local food is delicious and it since it is quite hard to find around the island you better take the chance. The show is held at Ooh La La Ice Cream Bar. 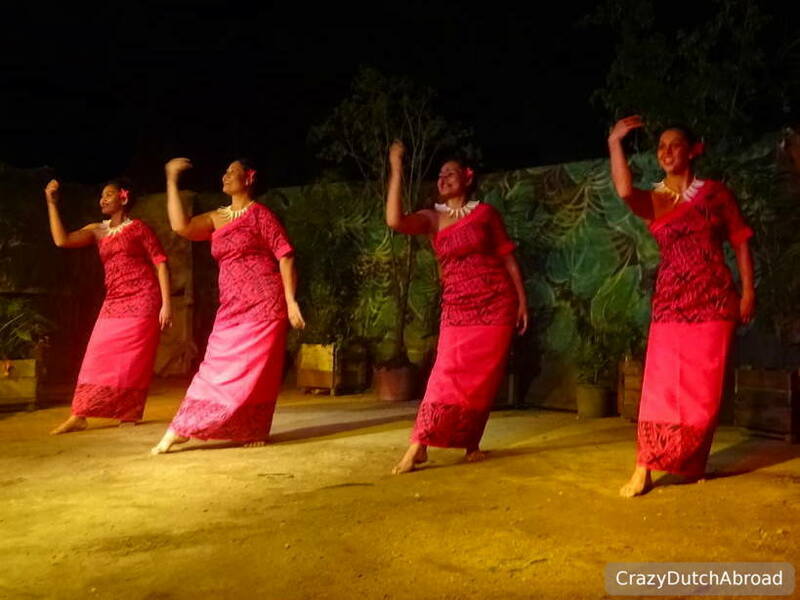 Lessons learned on Upolu Samoa! 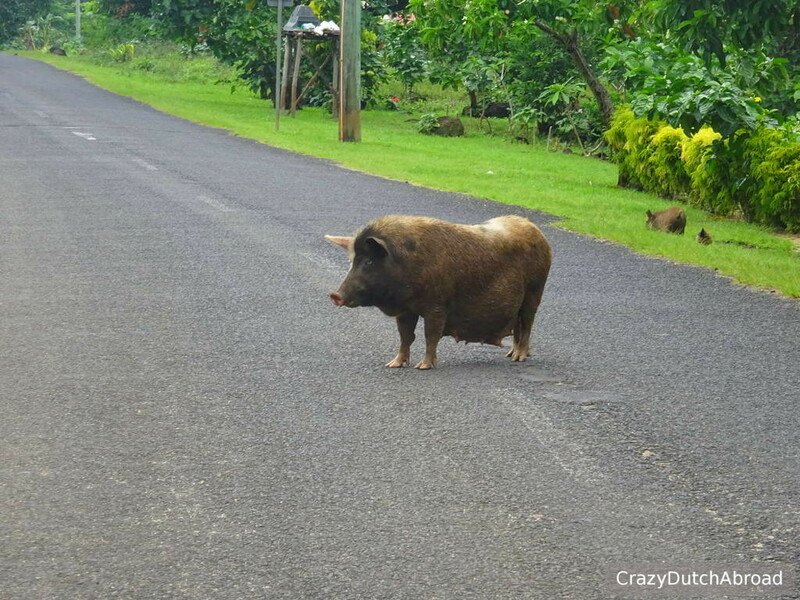 As mentioned above Sundays are special in Samoa. The locals will be mainly indoors and activities are down to minimal. Plan your Sunday ahead! Buy groceries and drinks or book trips beforehand. We arrived on Sunday night and it took us hours to find some breakfast in the morning. There is also an alcohol law during the weekend, so be prepared if you like a glass of wine! Some restaurants will open Sunday afternoon, Amanaki and Sails are good options (we found out later). Farmer Joe's Supermarket is open on Sundays and you might find a Chinese convenient store open as well, but it will not be easy! Nothing like a flea market but that is another name for this local and tourist market combined. From all kinds of souvenirs and clothes in hawler stalls to a (fast) food court and fruits and vegetables. Lovely to walk around and for gifts to take home. Be warned about the dogs! Especially from dusk to dawn the dogs can be really aggresive. Other than 'just' barking and running after you they will try to bite! Believe me, we are used to a lot and not scared easily and love dogs, do not take this light! When you pass-by on a scooter make the big shhhhhhhh sound and act like you will trow a rock at them - it really helps! Also you can outrun them is you open-up the gass, but make sure they are out of your way first! We gathered so much information at the Cultural Village we decided to skip the museum and do outdoor things. 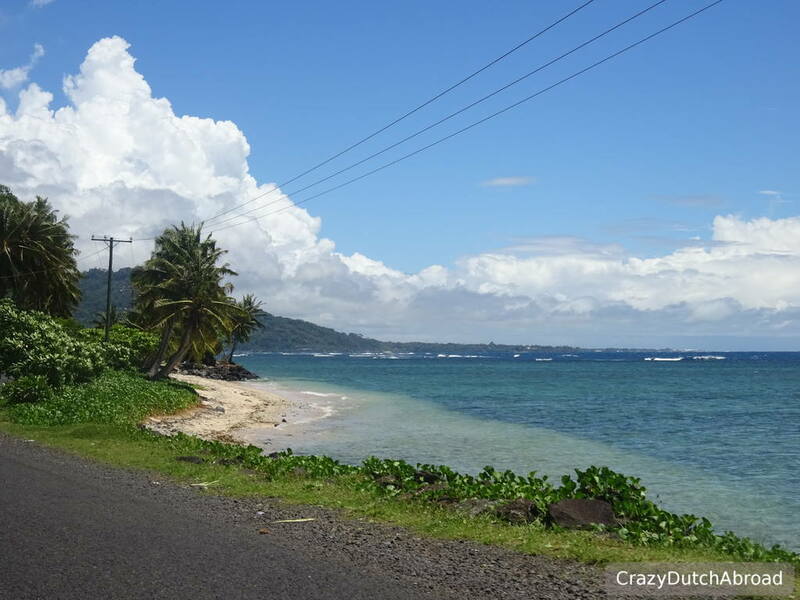 Close to Apia you will find the Palolo Deep Marine Reserve. We have been SCUBA diving around Apia, so we skipped snorkeling here. 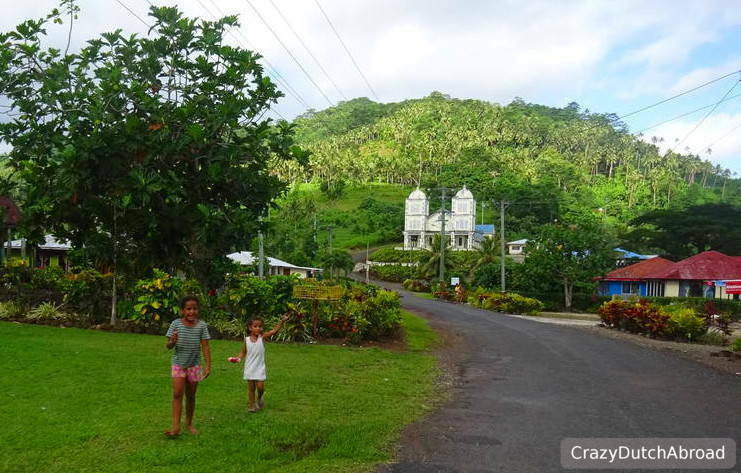 If you have not seen giant clams visit the Sanctuary on the other side of Upolu island. Bring your own snorkel gear! Entrance fee applies. Just not that interested in sliding off a rock. Must be great with a group of friends or young children. Strip with bars There is no strip, all is spread out over Apia. Quality of local food Very good but it is hard find (other than the deep fried stuff at the market)! Local transport There are busses that drive around but taxis are affordable. Boat To get to Savaii there is a big ferry (Lady!) running almost every 2 hours. There are two companies, take the MV Lady Samoa to have an air-conditioned seating area and a little coffee shop. The small one goes slower and there is not enough place to sit for everybody, not even shade. Visit Samoa shipping for the schedule. Apartment Sesilia Riverside Apartments , about 40 USD in Vaitele, highly recommended! 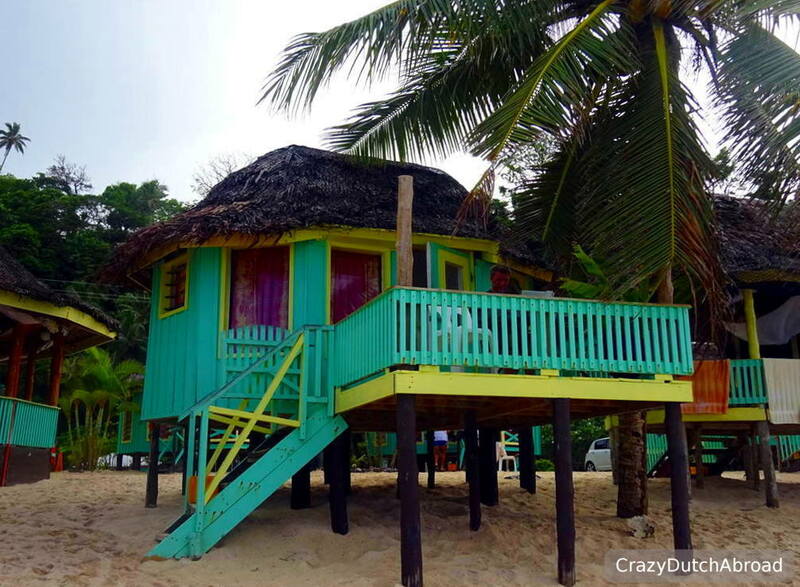 Resort Try a beach fale! They cost around 200 WST for 2 persons per night but worth it for the experience! Beaches Lalomanu is beautiful. Most beaches are on the south of the island. Supermarket Farmer Joe's Supermarket is huge and open on Sundays. American Samoa If you take a flight to American Samoa you fly back in time, celebrate your Birthday twice! It was to expensive for us but you can fly with Talofa Airways return for about 380 WST. Accomodation is the hardest part. Cheapest option is staying with a local family. 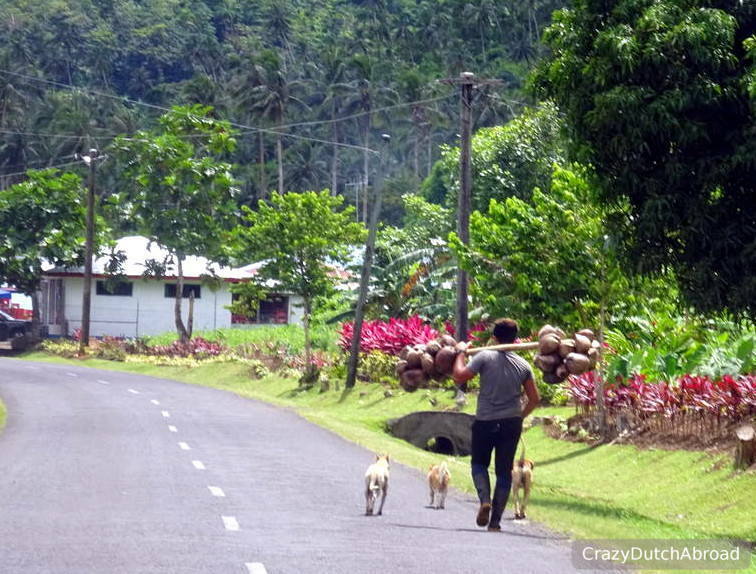 Email the National Park of American Samoa for the Homestay Program list. 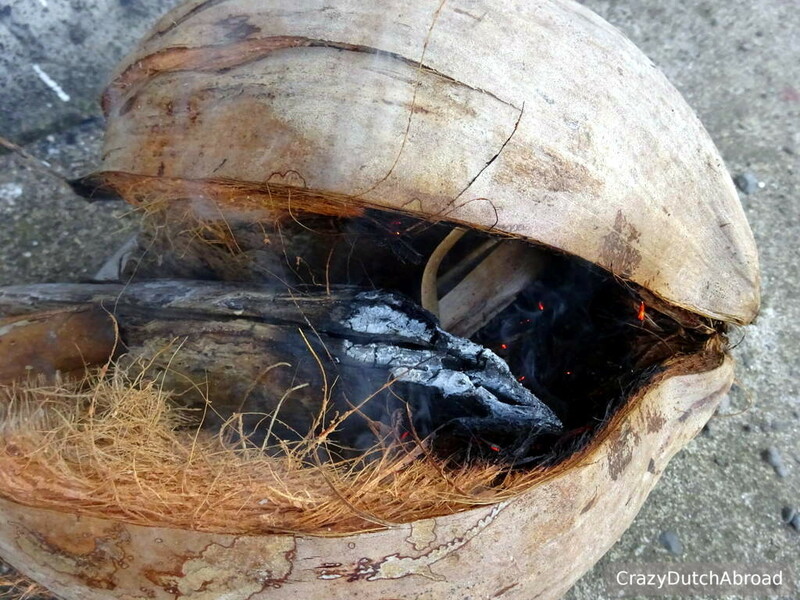 Burning the outer coconut shell to keep the mosquitos away!